Looking for the Best Pre-Law Undergraduate Schools? The best choice for a college or university to go to if you are considering law school is easy!Go to any good College or University where you can get good grades. As for a major, do what interests you. Law schools, unlike medical schools, do not have rigid pre-set requirements. First, a word on what this article is talking about: we are not discussing the best places to do “pre-law.” Often, majoring in pre-law is a mistake if you want to go to law school. If your chosen school has a major that is actually called “pre-law,” do not take it thinking that will automatically help you get into law school. It may, in fact, hurt you: law school admissions boards do not highly respect pre-law as a major. There are a few reasons this may be the case. First, a case could be made that pre-law majors have less interest in expanding yourself as a person beyond the legal field. Second, and most importantly, pre-law courses really don’t do anything to prepare you for law school that a simple English, history, or political science degree can’t do just as well. We have more information on that in our post about the best majors if you plan to attend law school. 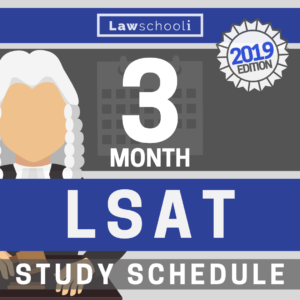 While other factors such as where you attend school certainly play a role in law school admissions, the LSAT is by far the biggest single factor in your application. A good LSAT score can erase a lot of weaknesses, even a lowish GPA. That score changed the entire trajectory of my life. Even a few points on the LSAT can make a significant difference in your success as an applicant. Selecting a college based merely on a ‘Pre-Law’ major or program would typically be a mistake, so what else should you do? Before rejoining the discussion of where you should go to college, let’s quickly discuss the question of major because it’s often a big part of your decision on where to attend for undergrad. In 2001, the five most common majors of students entering law school were political science, history, English, psychology, and criminal justice. The five majors with the highest acceptance rates were physics, philosophy, biology, chemistry, and government service. Just because a major is a common choice for future law students, don’t think it is a great one to pick. Criminal Justice is probably one of the worst majors if you are shooting for a top law school. It is not well respected as a serious area of academic inquiry (at least not as it is presented in undergrad). You would be far better off studying philosophy or history if you want to think deeply about crime and punishment. Anecdotally, I knew no criminal justice or psychology majors at my top-ranked law school, University of Chicago. Though it may surprise some, law schools like students from the hard sciences a lot, for two reasons: first, they don’t have as many students applying from those disciplines, so it rounds out the class. 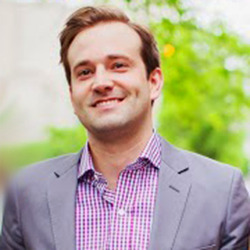 Second, those students have an edge in the job market (IP law, for example, which requires a technical degree), so these students help the law school maintain a high employment-upon-graduation rate. Third, from my observation anyway, they tend to be good law students. English, history, and the like are also suitable majors, as students who went to college for these tend to have good writing and critical thinking skills. It’s also generally considered easier to get a high GPA in humanities majors because of grade inflation. For a full discussion on the best majors for future law students, check HERE. What are best undergrad schools to go to if you are considering law school? As I said before, the answer is simple: you want to go to one of the better schools you were accepted to, one where you think you can maintain a high GPA in a serious major. The reputation of the school does not matter as much as you might think because law schools care more about how high your GPA is than where it came from. I imagine most students thinking ahead to law school assume they should go to the best undergrad school that they got into to boost their chances of getting into a good law school after graduation. All else equal, this is true. However, I want to stress again that this is only true if you can maintain a high GPA. It may seem unfair, but your GPA is typically far, far more important in the admissions process than the quality of your undergrad institution, so long as your undergraduate school meets a minimum standard of excellence. Yes, it is better to have a high GPA at a fantastic school, but if you are committed to going to the best law school you can get into, it is more important to make sure you are at a school where you can maintain a very high GPA (3.8+). For example, a 3.9 GPA from the University of Iowa is likely to open more law school doors than a 3.4 GPA from the University of Chicago. I went to the University of New Hampshire, a good school, but certainly not the shining light of the western world. Although my GPA wasn’t valedictorian material (a 3.73), it was good enough because it’s still in the GPA range top law schools are looking for. For that reason, future law students might want to avoid undergrad schools like Reed or University of Chicago, where it is tough to get a high GPA unless you are very driven and think you can do well there. 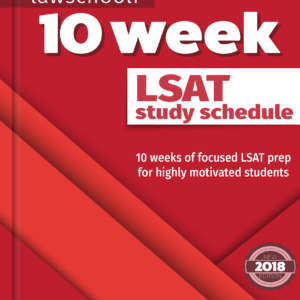 While law schools understand that these are great programs and are exceptionally difficult, they are stuck because they need to be conscious of their USNWR ranking, which means they have to admit a lot of high GPA students. Is the admissions system maybe a little messed up for the high emphasis it places on numbers? Definitely. However, if you know that going in, you can make it work to your advantage. That said, don’t think that you should just take a 4.0 at some online school such as DeVry. Law schools are only interested in accepting students from schools that they believe can prepare you for the rigors of law school. Any decent state university or better will do. Looking at the current entering students profile at Yale Law School, you’ll see that while the very best colleges and universities in the country are heavily represented, and there are plenty of students from schools such as UMass Amherst and University of Florida that, though they are excellent schools, are not elite. However, there is no one from very low ranked institutions. Generally speaking, you want to attend somewhere that shows up on US News’ ranking of the best colleges. Community and junior colleges are okay too, as long as you transfer after a year or so, and so long as they are a good enough program to get you in the kind of schools discussed above. Again, just make sure you maintain a high GPA throughout. Any graded college course you take will be factored into your GPA when you apply to law school. Luckily, this leaves a lot of excellent schools, as hundreds can adequately prepare you for law school. The tips mentioned above should give you a basic idea of how to choose an undergrad institution if you are thinking about going to law school afterward. The key points to take away here are that you should do what interests you (unless its criminal justice or pre-law) at a decent school where you think you can get a high GPA. The are plenty of great ways to research the best colleges: Start with the US News and World Report’s Best Colleges and Universities. This well-known guide ranks schools to help you pick reaches, targets, and safeties. 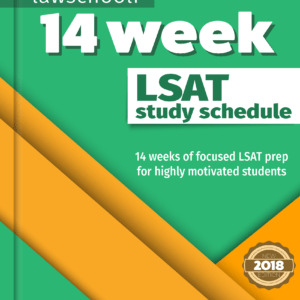 Previous ArticleIs it likely that I will perform poorly on the LSAT if my practice tests are horrible? I am currently a junior in high school and am deciding which colleges to apply to in state due to the fact that I have Florida pre paid. these leave the options of florida state university (fsu), the university of florida, and the university of central florida. although I know that uf is the better school I have had some medical issues that have restrained me from reaching my fullest potential in high school even though I have a 3.65 gpa anyways I ways I was wondering if fsu is a good school to go to and which major I should choose that has the best possibility for future jobs. I’d love to help. Anything in particular you need direction on? What would you consider “Hard Sciences” ? Physics, Chemistry, Math, Biology, Engineering. That sort of thing. I’m a junior in high school and I am planning to attend Sonora State then go to Oklahoma Law School. I am not sure if Sonora State is good for pre-law. Any better schools? I don’t know much about that school in particular. The most important factor is going to be your GPA and LSAT scores. As long as it is a relatively respectable undergraduate institution, you’re going to be able to get into law school. I am currently a freshman at George Mason University in the Honors College. I got into better in-state schools (ranked higher in U.S. News Report, 26&34), but for financial reasons I couldn’t attend. I definitely want to go to law school, hopefully a T5 law school (Yale! ), and I was wondering if you think I should consider transferring to Georgetown? When looking at the entering class profile for Yale, my school doesn’t show up at all (although I believe GMU was in the previous year’s profile). Do you think it’s better if I transfer to Georgetown or stay in the Honors College at GMU? Does the fact that I’m in the Honors College make any difference to law schools? We have different requirements/genEds than the normal school. I realize that the most important things are GPA and LSAT when applying to law schools, but I’m concerned that regardless of how “good” my application is, the fact that I went to GMU will make it harder for me to get into to a T5 school. Sorry I didn’t see your question until now. I’m curious what you ended up deciding to do. I was able to get into a Top 5 law school with an undergraduate degree from ASU, so you can certainly do just fine in the law school admissions process without going to a particularly prestigious undergrad school. Yale has such a small class size that you really can’t draw any conclusions from the fact that it isn’t currently represented at Yale. If you’d have to take on a huge amount of debt in undergrad in order to transfer to a better school in hopes that’ll boost your chances at a better law school, I don’t think it’s necessarily worth the debt burden. Just focus on keeping your GPA as high as possible and CRUSH the LSAT when the time comes. I am currently attending Minnesota State University – Mankato and I am debating whether or not I should transfer to the University of Minnesota or another higher ranked public school in the Midwest. I want to attend Harvard Law but I’m concerned MNSU isn’t a good enough school and won’t prepare for the rigors of a T6 school. Do you think I should stay where I’m at and aim for the highest gpa possible or transfer? Thank you! I’m curious to hear what you ended up doing. I will say hat moving from Arizona State to UChicago was a bit of a shock. You go from being at the very top of my class in undergrad to a very average student at UChicago Law. But after the initial shock, you get used to being just one of many smart, driven students. Being average at UChicago is still a huge success! I am currently a triple major at Ohio University including History, Classic Civilizations, and Soc Pre-Law with a minor in Anthropology. I am still graduating in four years and have a decent/good GPA. I am doing Soc Pre-Law because it has given me access to some interesting pre-law electives such as Sociology of the Courts and similar classes. Is it going to be seen as a negative when I start to apply to law schools to have that as one of my majors? Or will the workload of three majors make up for it? Law schools aren’t going to look down on you for having pre-law as one of several majors. History and Classics majors actually tend to do quite well in he application process. I am faced with a difficult situation. The college I would like to go to has a strict foreign language policy, but, I can go to another college thats not as prestigious. If I wanted to go to the more prestigious college I would have to complete 4 semesters of foreign language. I have already completed three high school years of foreign language(it being my hardest subject). The less prestigious college will accept my 3 years of language studies and requires no further study. I have a fear if I attempt to do the foreign language requirement it will drop my GPA. Should I settle for less and not risk hurting my GPA, or go for it? I would greatly appreciate some advice! What’d you end up choosing as a major? Would love to hear how it’s going! So I am from India and just finished my high school. I am planning on studying law abroad but I am not able to understand which is best college is best for me. Please suggest. Sorry, I’m not quite clear on what you are asking. Have you finished your undergraduate education already?